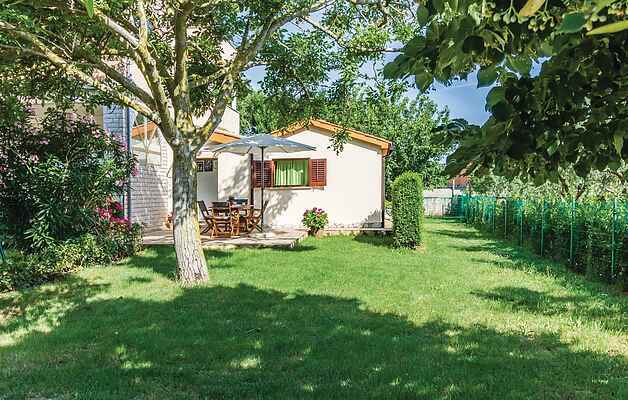 This cozy holiday apartment is located in Medulin. It is practically furnished and has two bedrooms, bathroom, kitchen with living room and a terrace where you can enjoy your morning coffee. Here you are in a very convenient location, near the village center, a grocery store, a restaurant and in the village there is also a sandy beach, which is particularly attractive for families with small children. Walk along the promenade, where you will find numerous stalls selling souvenirs, confectioneries and numerous cafés with entertainment until late in the evening.